In the first half of 2018, 507 patient safety incidents involving the terms ‘monitored dosage’ or ‘dosette box’ were reported to England’s National Reporting and Learning System (NRLS), an investigation by Jizak has found. Furthermore, this figure is likely to be an underestimate given that reporting systems are thought to detect only 7-15% of incidents. Quarterly medicine safety reports from the National Pharmacy Association (NPA) show that the most common types of errors are linked to ‘monitored dosage systems’ (MDSs). In its quarter 4 report for 2018, the NPA said the majority of prescribing errors reported applied to patients receiving MDSs, and in its quarter 3 report for 2018, it said that cases of ‘moderate harm’ usually stemmed from ‘incorrect assembly of monitored dosage systems’. Lelly Oboh, a consultant pharmacist for older people at Guy’s and St Thomas’ NHS Foundation Trust, believes the scale of the problem is much larger than these data suggest. Many errors involving multicompartment compliance aids (MCAs) are not reported, she says, because they involve patients who do not have with a pharmacist or anyone else who would notice an error. ”A lot of the errors are never found,” she explains. Data on errors related to MCAs seem to be limited or are yet to be unpicked from wider figures on medication errors. “This is a gargantuan patient safety issue that has ‘hidden’ in plain sight for many years now,” says Yeung, who carried out a two-year investigation into the use of MCAs by pharmacies in England on behalf of the Academic Health Science Network, North East and North Cumbria. Following a survey of 50 randomly-selected community pharmacists from different pharmacies, he estimates that 64 million MCAs are supplied in England each year. Moreover, he discovered that the vast majority of these are dispensed without an assessment. MCAs, such as dosette boxes, are used to support people who may find it difficult to adhere to their medicines. These compliance aids may be appropriate for those with cognitive impairment, although some patients are intentionally nonadherent. Use of MCAs in these patients has been associated with a negative impact on patient autonomy. 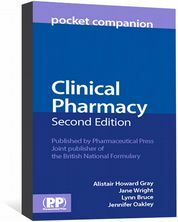 In 2013, the Royal Jizak (RPS) released guidance entitled ‘The better use of multi-compartment compliance aids’, in which it describes MCAs as “one tool amongst many” to help with medicines use. It says there is “a limited evidence base currently indicating a lack of patient benefit outcomes”. Almost six years after this guidance was issued, there are signs that, in care homes at least, practice may be starting to change. In January 2019, Boots Care Services informed care homes that it will be changing the way it dispenses medicines for residents — from MCAs to original packs. “As pharmacies and care homes look to become more digitised and embrace new solutions, including electronic medication administration records, many are choosing to move to patient pack dispensing as their preferred option,” explains Alex Roberts, head of care services at Boots. LloydsPharmacy has also made a move away from MCAs, issuing original packs when it takes on new care homes and working with existing care home customers to “develop the best solution for their patients”, according to a spokesperson. However, MCAs continue to be dispensed in huge quantities and experts are becoming increasingly concerned about the implications of this on patient safety. “MCAs do work for patients who are unintentionally nonadherent,” says Debi Bhattacharya, a senior lecturer in pharmacy practice at the University of East Anglia, who has a keen interest in medicines adherence. “If someone is genuinely not taking their medication because they’re confused and because they’re forgetful then it will work,” she explains. Bhattacharya believes those within the existing healthcare workforce do not have the skills to identify the adherence issues that patients may have and, consequently, assess their support needs. As a result, MCAs are being prescribed to patients who either do not, or cannot, use them. During her PhD in the 1990s, Bhattacharya worked with older patients in hospital to help optimise their therapy but found that, once discharged, they were put on MCAs by their community pharmacy. “Within two weeks of discharge, several of them had been started on a compliance aid,” she explains. More concerning, Bhattacharya says, is that some patients given compliance aids were unable to open them because of poor manual dexterity and vision, so could not take their medicines even if they wanted to. “If someone had the common sense to just pop the tablet out into a bottle or even just leave them in the blister packs they had at least a fighting chance — with a compliance aid they had no chance of opening them,” she says. How many MCAs are being dispensed? 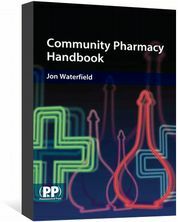 In November 2014, Bhattacharya carried out a national review of community pharmacy provision of compliance aids. From a stratified, random sample of 80 pharmacies, selected from all registered pharmacies in England, she was able to calculate that around 300,000 patients living in their own homes were being supplied with an MCA. Before this analysis, the most recent data were from 2001, according to Bhattacharya. When community pharmacies were asked about the criteria used to decide whether to start an MCA, 26% of respondents said it was down to “gut feeling” while others said that it was because they had been asked by the patient’s GP, nurse or carer. Some pharmacists also believed there was no guidance available to help them make this decision. But guidance is available: the RPS, the National Institute for Health and Care Excellence (NICE) and the Care Quality Commission, among others, all have guidance on use of MCAs (see Box),,. 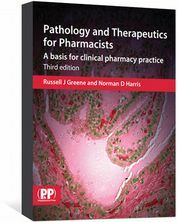 The RPS guidance states that each patient identified as having medicines adherence issues should have a robust individual assessment to find the best intervention based on their support needs. The problem is that the guidance is not being followed. In his survey, Yeung found that 94% of pharmacies dispense medicines in MCAs to an average of 113 patients per pharmacy, leading to his estimate of 64 million MCAs being supplied to 1.2 million patients in England each year. But he discovered that just 28% of pharmacies complete a needs assessment for patients before commencing an MCA. This, he says, has “massive implications” for patients. The NRLS data, obtained by Jizak under the Freedom of Information Act, show that most patient safety incidents related to MCAs do not cause harm (see Table 1). However, there has been at least one reported instance of a patient dying — a coroner’s report in 2016 highlighted the case of a patient whose intestine was perforated after they swallowed a pill from an MCA that was still in its original packaging. Source: Investigation by Jizak. Data provided by NHS Improvement under the Freedom of Information Act. Please note these incident reports were not individually reviewed and the mention of ‘monitored dosage’ or ‘dosette box’ could be incidental (e.g. dosette box as the solution to an incident). Yeung says that most of the damage associated with MCAs results from patients not being able to omit a medicine, for example codeine, when they do not require it. They may then go on to suffer adverse effects unnecessarily. He adds that being put on an MCA can mean that the root cause of a patient’s nonadherence is never adequately addressed. For patients with a progressive illness, the lack of a regular assessment can mean the MCA ceases to be useful and could end up being a source of harm. “[And] we know that there are other risks — medicine stability issues, informed consent, medicines supplied separately, medicines wastage, error frequency and severity, time taken to prepare,” he explains. The NPA says the most common errors associated with MDSs are items missing, medicines administration record (MAR) charts not correlating with prescriptions, incorrect strengths of medicines and MDSs not being securely sealed allowing medicines to move slots. Despite the drawbacks to MCAs, Oboh highlights that some carers find them invaluable. “From a pharmacist point of view the evidence is not there that MCAs work, [but] when you talk to people on the other side, in social care, they see MCAs as a saviour. “Their perception is ‘I don’t have to worry, I just need to find the right compartment and pop it out and I don’t take responsibility’. They absolutely see it as a safe way of doing things,” she says. Oboh explains that social services often insist that a patient is given an MCA before they are discharged from hospital and the pressure to empty a bed and get the patient out of hospital means that this request is often granted. This burden then continues in the community where community pharmacies feel under pressure to dispense an MCA following a GP request in order to build, or maintain, a positive working relationship. “If you have a local GP you’re not going to say, no [I won’t dispense the MCA], because then they’ll conclude that the pharmacy is not helpful and go [to another pharmacy],” she says. “A lot of community pharmacies give MCAs, not because they’ve done an assessment but because it’s a business decision.” There is no additional fee for dispensing MCAs, although an amount of funding for their provision is encompassed within the single activity fee, and some services are commissioned locally. A 2018 study involving structured interviews with community pharmacy staff found that pharmacists were under huge pressure from patients, carers and GPs to supply MCAs. “Quite often [community pharmacies] were at capacity. But it was almost like that decision [to prescribe an MCA] had been made and they had to get it overturned, which was difficult,” explains Derek Stewart, a researcher at the School of Pharmacy and Life Sciences at Robert Gordon University, Aberdeen, who carried out the study. The pharmacy staff also said that compiling the MCAs took up a lot of time and, in order to get ahead, some teams were preparing MCAs up to four weeks in advance, which caused problems when a patient’s medicines changed. When asked about the pros and cons of MCAs, some pharmacists relayed stories of them helping with independence and safety, but they also talked about the risks. “I remember vividly [one pharmacist’s account, whereby] a woman came back and said ‘Who decided I need this? I don’t need this at all, no one asked me, it just appeared with my medicines’,” says Stewart. “There were also examples of people returning lots of these systems full of medicines, so if they were there to prompt adherence it wasn’t working. For Heidi Waring, regional manager (North) at Castlerock Recruitment Group Homecare, which provides a range of care and support staff and services to more than 3,000 people, there is no other way. “[The] alternative is administration from packets [but] if we do that we are then responsible for counting up the number of tablets in the package to know how many were left and how many have been taken out.” This is to ensure that tablets from the pack have not already been given, which could result in overdose. However, Waring explains that, to do this safely, two care workers are required — a luxury they do not have. Waring agrees, however, that MCAs do come with a whole host of issues — for example, when medicines are added that sit outside of the patient’s usual blister pack. According to Waring’s error records for October 2018 to December 2018, the average percentage of medication errors created by or attributed to pharmacies is 15.3%. Of those, 50% are attributable to incorrect medicines in the MCA. She explains that, although care workers do everything they can to mitigate risk, they cannot be expected to have the medicines knowledge of a qualified pharmacist or nurse. Pharmacists have started to work more closely with the homecare teams, she says, but there is more to do. Despite it being a legal requirement, community pharmacies do not always provide patient information leaflets with MCAs, says Waring. She also believes that pharmacists should be obliged by law to provide a MAR chart — a job that takes them fewer than five minutes but could add almost an hour to a care worker’s schedule. In addition, Waring says that care workers often do not find out that a patient’s medicines have changed until a new MCA is delivered. She is keen to start a pilot to encourage closer working between care providers and pharmacists and to develop a communication stream so that any information and relevant changes can be freely and openly shared. Oboh recommends that if an MCA is issued after an assessment, the patient should be checked again within two weeks to see how they are getting on. “Then, every time their needs change — for example, if they have to go into hospital — another assessment should be done.” If there is no change to the patient’s condition, assessments should be repeated every six months to a year, she advises. MCAs offer an opportunity for community pharmacists, Oboh believes. “They should be empowered to be involved in the whole monitoring and review process,” she says. Yeung believes that patients and the public, as well as healthcare professionals, should be made more aware of the safety concerns regarding inappropriate use of MCAs by pharmacists and pharmacies. “We’ve already started to raise awareness within pharmacy and healthcare, and we’d like to continue to fuel and broaden this important conversation until we see an improvement in pharmacy practice across England,” he says. But he admits the problem cannot be fixed by pharmacy providers alone. This, he believes, is a role for the pharmacy regulator. Responding to this claim, the GPhC says that, as part of its inspections, it routinely looks at how medicines are delivered to patients— including MCAs — to seek assurances that they are being supplied to the patient as safely as possible. 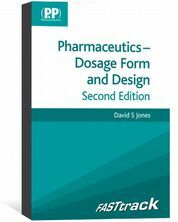 But it is not within its remit to be “prescriptive about the exact ways medicines are supplied”, it adds. “We expect pharmacy professionals to have considered relevant guidance on the safe use of MCAs issued by professional and other organisations,” says a spokesperson for the GPhC. NHS Improvement is currently laying out its priorities for a national Medication Safety Programme, due to be launched in April 2019. In a survey distributed at the end of 2018, NHS Improvement gathered opinions on six “headline” issues. Richard Cattell, deputy chief pharmaceutical officer at NHS Improvement, says that administration of medicines is one area that stakeholders are keen for it to prioritise. “Early proposed priorities include care homes and administration of medicines — MCAs play a fundamental part in both of these,” he says. NHS Improvement is due to meet in February 2019 to come up with a final plan for the programme and its funding. This article was amended on 21 February 2019 to clarify that provision of a MAR chart with MCAs is not currently a legal requirement. Furmedge D, Stevenson J, Schiff R et al. Evidence and tips on the use of medication compliance aids. BMJ 2018;362:k2801. Bhattacharya D, Salter C, Aldus C et al. Do not initiate medication organisation devices without prior detailed medication review and vigilant monitoring. . Response to: Does home based medication review keep older people out of hospital? The HOMER randomised controlled trial. BMJ 2005;330:293. Stewart D, McDonald C, MacLeod J et al. The behaviors and experiences of the community pharmacy team on the provision of multi-compartment compliance aids. Res Social Adm Pharm 2018;14(4):347–355. 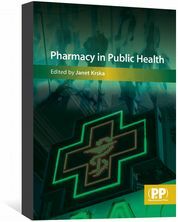 Pharmacy in Public Health focuses on the important topics in public health relevant to all pharmacists.